I recently co-presented at a symposium on this theme at the Sivananda Retreat on Paradise Island in the Bahamas from April 25th to 28th. Alexandria was for seven hundred years the greatest center of learning and culture in the ancient world, a brilliant crucible in which the civilizations of ancient Greece and Egypt intermingled and absorbed streams of wisdom from throughout the known world. Its legendary Library and Museum made it possible for many of history’s greatest philosophers, scholars, and scientists to flourish, and for the city to become the cradle of Hermeticism, Gnosticism and Neoplatonism. Alexandria was a city filled with compelling personalities, from its founder Alexander the Great, to Cleopatra, the last of the Ptolemaic Pharaohs. Its long list of influential thinkers includes the great Jewish philosopher Philo, the Gnostic Christian Clement, the Neoplatonists Ammonius Saccas and Plotinus, and finally the noble and tragic Hypatia, last of the pagan lovers of wisdom. 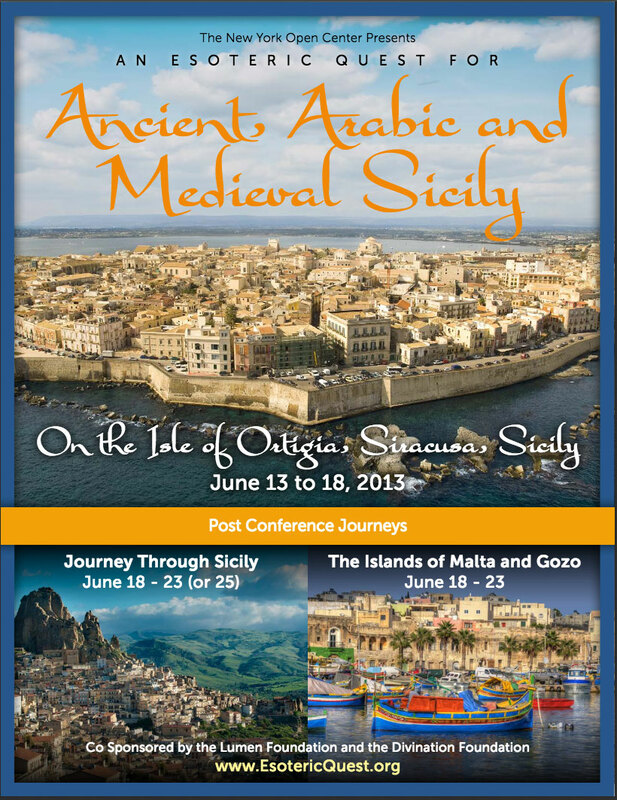 Please join us for the first international conference held in Alexandria to bring vividly to life the most influential center of culture and esoteric wisdom in antiquity, the authentic birthplace of the Western mind. This is the latest in a series of conferences on the ‘lost spiritual history of the west’ that I have organized over the last fifteen years. 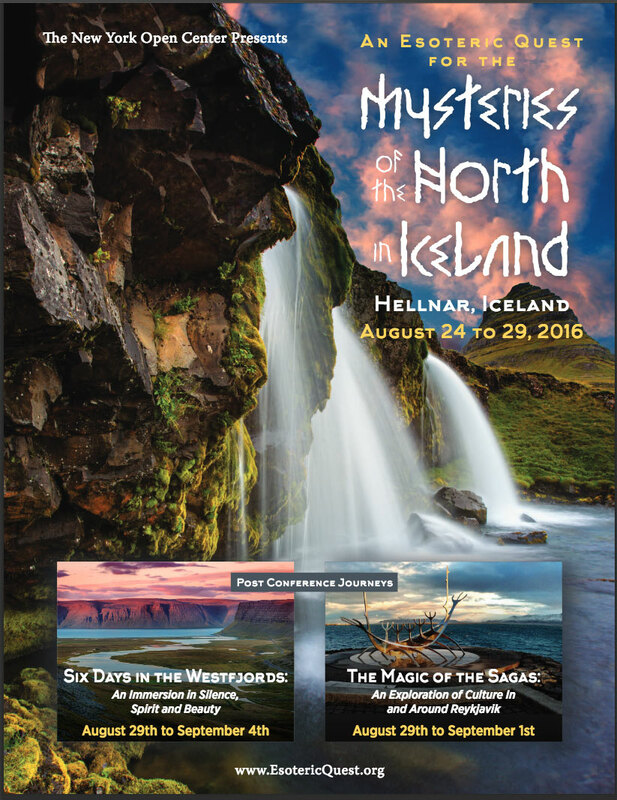 You can find brochures for each of these on the Esoteric Quest website. 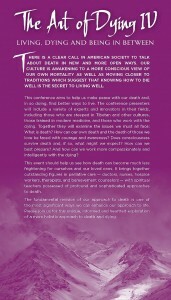 Another major interest of mine is developing a more holistic approach to death and dying in our culture. A major interest of mine is in the emergence of holistic approaches to Death and Dying. The Open Center has produced six conferences on the Art of Dying: Spiritual, Scientific and Practical Approaches to Living and Dying since 1995 and now has an Art of Dying Institute that offers a six month certificate program in Integrative Thanatology and many other events on this theme. The Art of Dying 7 will take place in the spring of 2020. These have been some of the most life-enhancing events I have ever had the privilege to organize. 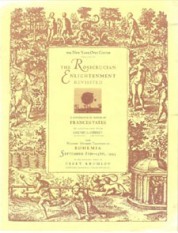 They coincide with America’s gradual emergence from a fundamental stance of denial and fear around dying to a view that is more open, enlightened, and aware of the merit derived from being aware of death and the transience of life on a moment by moment basis rather than ignoring these facts until a crisis arrives. Please see www.artofdying.org for further details. There are few better ways to keep your finger on the pulse of the holistic ‘movement’ than by attending this unique Gathering of centers from all over North America and increasingly from all over the world. In addition to the Open Center, the following centers are regular participants at this five day event every spring in which we share our insights, lessons, struggles, successes in a spirit of openness, candor and mutual support. I have developed a worldwide network of friends and colleagues from my participation in these warm, open and informative events on both US Coasts and in both Eastern and Western Europe. There’s not much doubt that holistic ideas and practices are emerging all over the planet, and these centers are some of the focal points of this impulse. The next Gathering will be held at Hollyhock on Cortes Island in British Columbia, a hundred miles north of Vancouver from May 12 to 17 2019. Please go the www.centersgathering.org or www.hollyhock.ca for further information. Here is an article that covers my role in the Gathering over the last 25 years.